Here’s presenting our brass lover customers with must have accessories for your home, which are beautiful as well as functional and are made of long lasting brass metal. Serve drinks, horderves, or other food and drink items in elegant style with this wheeled serving cart. 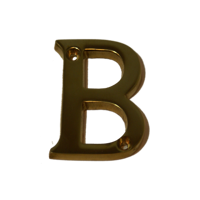 These 2 inch brass letters will draw the attention of any eye. Their durability and strength makes them the perfect characters for any sign. Our premium grade, solid cut brass sign letters are highly durable and designed for interior and exterior use. These 3 inch brass letters will draw the attention of any eye. Their durability and strength makes them the perfect characters for any sign. Our premium grade, solid cut brass sign letters are highly durable and designed for interior and exterior use. Decorate with gorgeous tiffany style floor lamp provide creative, innovative, and beautiful lighting so that everyone can have quality, high-end lighting in their home and office. The beautiful Tiffany lighting piece contains hand-cut pieces of stained glass, each wrapped in fine copper foil. with 62 inch height & 16 inch Dia. Made with clear glass with iridescent and white art glass, this 16 Inches wide floor lamp offers a warm glow to deliver a welcoming ambiance. The beautiful Tiffany-style piece contains hand-cut pieces of stained glass, each wrapped in fine copper foil. with 62 inch height & 16 inch Dia. Made with clear glass with iridescent and white art glass, this 16 Inches wide floor lamp offers a warm glow to deliver a welcoming ambiance. The beautiful Tiffany-style tall floor lamp piece contains hand-cut pieces of stained glass, each wrapped in fine copper foil. with 62 inch height & 16 inch Dia. Made with clear glass with iridescent and white art glass, this 16 Inches wide floor lamp offers a warm glow to deliver a welcoming ambiance. The beautiful Tiffany-style floor lamp piece contains hand-cut pieces of stained glass, each wrapped in fine copper foil. with 62 inch height & 11 inch Diameter. Tiffany style lamp featuring 144 glass pieces and 12 beads. with Incandescent type of bulb. this 11 Inches wide floor lamp offers a warm glow to deliver a welcoming ambiance. Double toggle Decorative switch plate with rope design border. 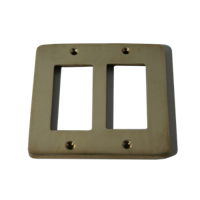 Great for any style home, this Double toggle switch plate has a universal design, made of solid bronze with a polished brass finish will coordinate nicely in part of your room giving a sophisticated look to your home. Keep your garments neat and unwrinkled with this stylish brass garment stand.Add this Garment Floor Stand in your room, and instantly add storage space. Perfect for setting out hats and coats when you have company, or storing space is limited. Made of solid brass. The beautiful Tiffany-style floor lamp piece contains hand-cut pieces of stained glass, each wrapped in fine copper foil. with 62 inch height & 12 inch Diameter. Tiffany style lamp contains 120 piece of glass and 84 decorative beads. with Incandescent type of bulb. this 12 Inches wide floor lamp offers a warm glow to deliver a welcoming ambiance. Elevate the traditional style of your living room or bedroom. Attractive White color finish to make an attention-grabbing statement in your home. This elegant stand features modern square tubing. It is perfect for storing umbrellas, canes, and a variety of other items. Ships in a box, no assembly required. The water tray at the bottom is removable for draining and cleaning. Use this Paper Towel Holder in the Kitchen, Garage, or any location to add instant class to the room. This elegant stand features ornate accents of rope twisted tubing. It is perfect for storing umbrellas, canes, and a variety of other items. Ships in a box, no assembly required. The water tray at the bottom is removable for draining and cleaning. Great for updating an old switch plate to new Vintage style single toggle switch plate , this Vintage style solid brass switch plate features a unique cross rope pattern design at the edge centers for additional flair.